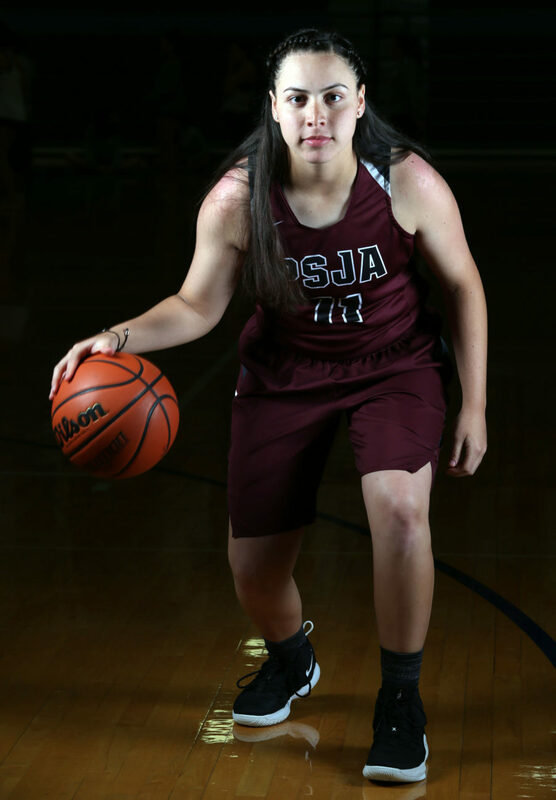 McALLEN — The transition from middle school basketball to varsity basketball was night and day for PSJA High forward Kaylah Hernandez. A freshman like Hernandez wasn’t looking to draw attention to herself or make waves with her older and more experienced teammates. In addition to capturing District 30-6A’s Newcomer of the Year honors, Hernandez was named as The Monitor’s 2018-19 All-Area Girls Basketball Newcomer of the Year. Hernandez averaged 10.1 points and 7.6 rebounds per game for the Bears. This season, Hernandez joined the team alongside senior mainstays Ashley Pecina (13.1 points) and Dee Galvan (7.2 points, 4.3 rebounds, 2.4 assists). The PSJA High program has gone through several facelifts over the past handful of seasons. The Bears had not made the playoffs since the 2015-16 season, when they finished in third place as a part of District 32-5A. During that season, the Bears were coached by Stephanie Cantu, but she moved on to take the job at McAllen High, her alma mater. The loss of their head coach, coupled with move up to Class 6A, was a bad mix for PSJA High, which won a combined seven district games over the next two seasons. In her second season on the job, Treviño helped the team make huge strides in 2018-19. The Bears won 27 games and qualified for their first postseason since Cantu’s final year as the No. 3 seed from District 30-6A. Hernandez will be the top returning scorer from this season’s playoff team.